Singapore Kendo Club News: WKC Fund Raiser - Thank You! WKC Fund Raiser - Thank You! 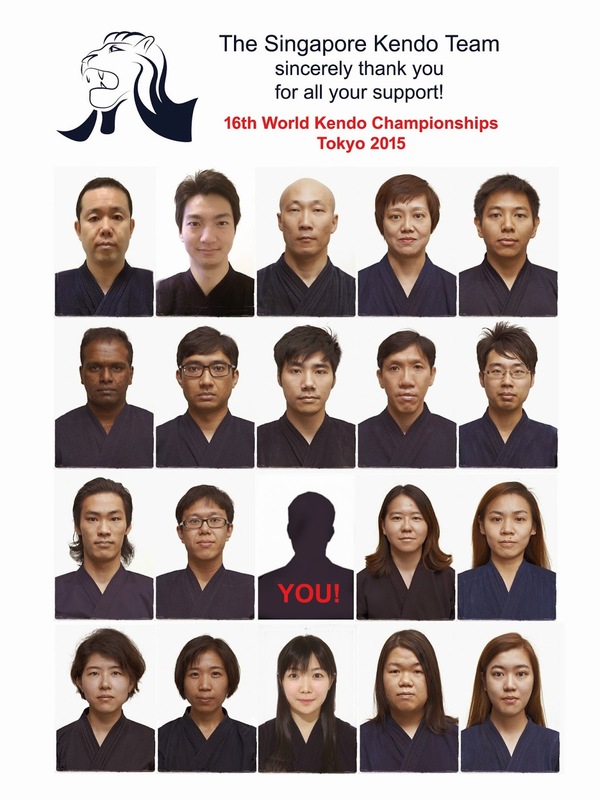 The Singapore Kendo Team would like to express our heartfelt thanks for the tremendous support shown by everyone for the WKC merchandise fundraising campaign. The funds raised will be used to subsidize the players' travelling and equipment costs. The Singapore Kendo Team will continue to commit ourselves to do our very best to make the Singapore roar heard at the Nippon Budokan. With your help, the team now has additional funding amounting to $4233.60. We will be distributing the merchandise from the WKC Fund Raising Sale held in March-April 2015 from Sunday (17 May). Due to the recent Japanese Golden Week holiday, part of our tenugui order has been delayed. As such, we will only be distributing the Ultimate Packs and orders without tenugui first. We expect the rest of our shipment to arrive in June and sincerely apologize for the delay. All our tenuguis have been delivered and everyone who pre-ordered their merchandise can pick it up from SKC over the next few Sundays (24 May until 7 June). Please look for Fergus after this Sunday. For those of you who are not able to collect your merchandise during this period, please do drop Grace an email and she will make arrangements with you when she returns from Japan. Once again, thank you everyone, for your support.